For those chilly days when you want to stay in and have soup, this will satisfy the need. Okay, it was 80 degrees today but I still wanted SOUP! 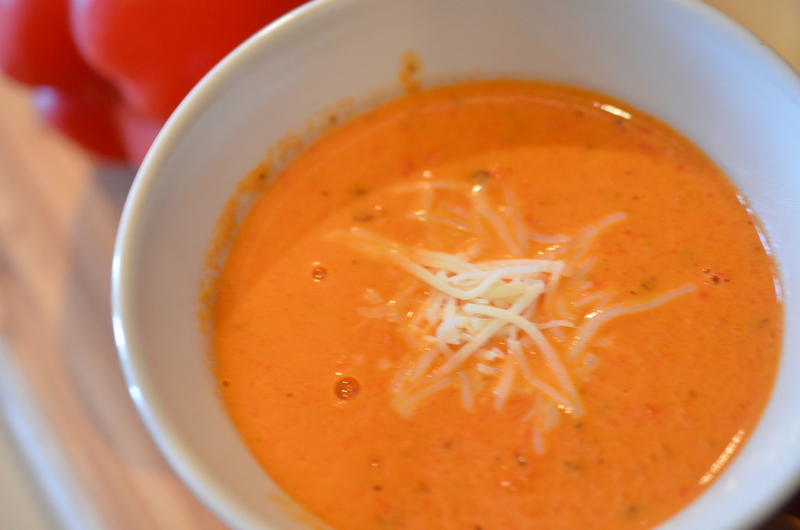 This soup is easy and only takes about 30 minutes to prepare. I sautéed onions and carrots, slowly and over a low to medium heat in olive oil and butter, salt and pepper them. That took about10 minutes. I used jarred roasted red peppers but feel free to roast your own, you will need two. I also used one chipotle pepper in adobo sauce. Add all of the peppers to the onions and carrots. Toss in a few dashes of cumin and cayenne pepper. 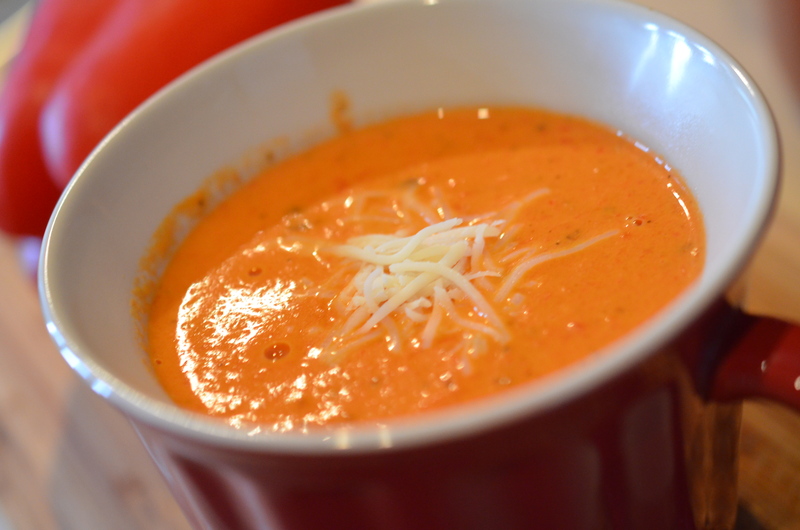 Pour in a half cup of chicken broth and a half cup fire roasted tomatoes. I used an immersion blender to puree everything in the pot. Then added a half cup of heavy whipping cream. Stir and serve! Top with your favorite toppings. Pour the oil and butter in a pot over medium low heat and sauté the onions and carrots, salt and pepper for about 10 minutes. Pour in the tomatoes, al the peppers, chicken broth, and the cayenne pepper and cumin to taste. I did about 2 or 3 dashes of the cayenne and about 3-4 of the cumin. Let simmer on low for about 15 minutes. Using an immersion blender, puree the soup until smooth. Add the cream, stir. Serve with your favorite toppings. Makes 2 large bowls of yummy soup.